This lovely two story townhome is situated on a superior lot with lake view to the rear and unobstructed open aspect to the front. 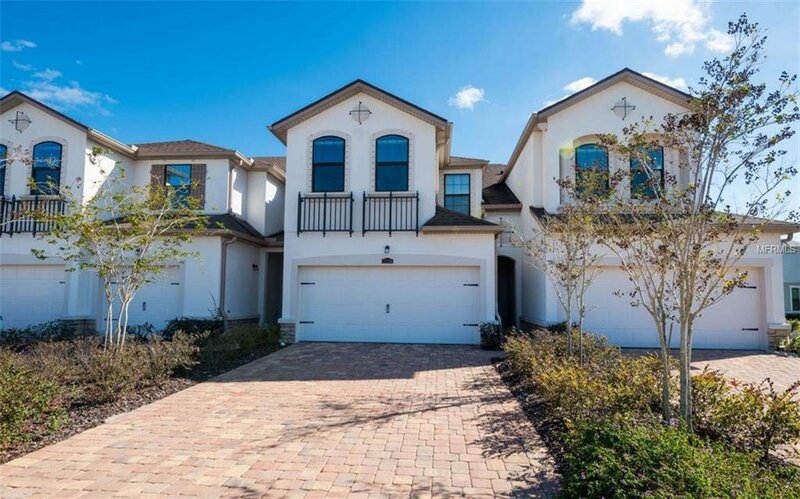 Immaculate & move-in ready 'Sanibel' open and spacious floor plan. Tile flooring throughout the first floor living areas. The kitchen has rich Espresso wood cabinetry, granite countertops and center island, custom tiled backsplash, & stainless steel appliances. Dining area with sliding glass doors to screened lanai. Powder room downstairs and a spacious storage room. Upstairs is the Master bedroom with tray ceiling and an en-suite bathroom with tub, separate shower, dual vanities & large walk-in closet. Two further bedrooms with shared bathroom. Laundry room with front load washer/dryer conveniently located on the upper floor. Quality light fixtures & fans with custom blinds in all rooms. Two car garage with epoxy finished flooring. Hurricane shutters for entire home. Harmony offers a resort style pool, clubhouse with meeting room & gym. Playground. HOA fee includes exterior maintenance - painting, power washing, pest control, landscaping & roof. Listing courtesy of KELLER WILLIAMS REALTY SELECT. Selling Office: REALTY PLACE.